How to decipher fault codes on Mitsubishi? Datsun - car brand, which is owned by Nissan. 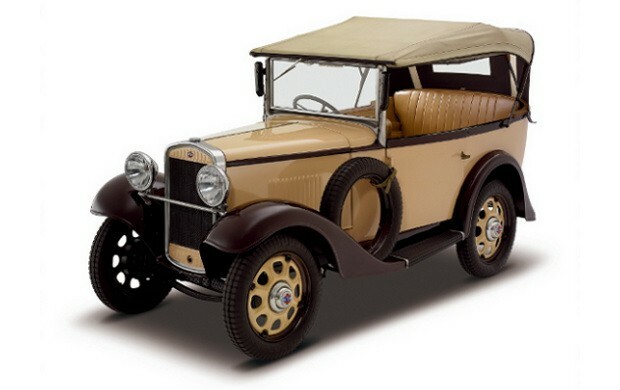 The first vehicles of this brand appeared in 1931, and production history begins in 1911. In 1986, Nissan has refused to use the brand, and in 2013 revived it again to produce cars for emerging markets. 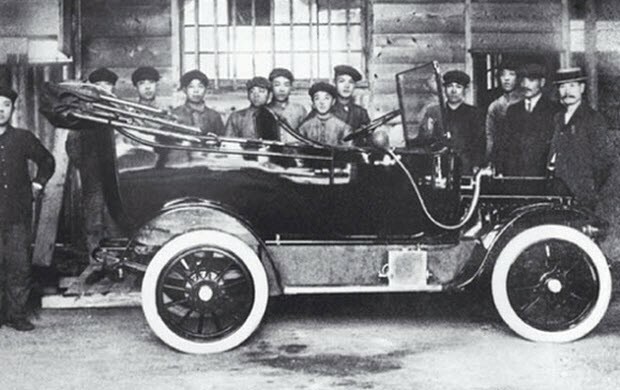 In 1911, the emerging company Kwaishin-sha, which is led by engineer Masudziro Hashimoto produces the first Japanese cars, called DAT. This name was formed by using the first letters of the names of the partners: Dan Kenjiro, Rokuro Aoyama, Takeuchi Meytaro. In addition, the philosophy created by the vehicles displayed in the title: Durable (reliable), Attractive (attractive), Trustworthy (credible). Also with the Japanese word "the dat" translates as "flying hare", "fast rabbit", "lively, alert." At the start in 1914, the brand has released a four-seater DAT-31, which is 2 years later was replaced by a model DAT-41 and DAT-51 then. The DAT-31 came with a four-cylinder 2.0-liter engine, the model 41 has received 2.3-liter engine. Machines produced in small quantities and used in Japan, a huge success. Besides cars, the company produces trucks, mainly for military purposes. In 1919, in Osaka, there is another company that has become an ancestress Dutsun. It was Jitsuyo Jidosha Seizo Kaisha. She specialized in the production of three- and four-rickshaws, which were designed by William Gorham American aircraft. In 1926 Kwaishin-sha and Jitsuyo Jidosha Seizo Kaisha merged to form DAT Automobile Manufacturing Co., Ltd. headquartered in Osaka. In 1931, the newly formed company will merge with Tobata Casting, that two years later would lead to the appearance of Nissan Motor Co. Since 1930, the Japanese government allowed citizens to drive cars with an engine of less than 500 cc. without rights. This has created a new market segment, and DAT Automobile hurried out to him with the offer. Thus began the development of a model with an engine capacity of 495 cc., Which was called "son of DAT», or Datson. Later, it was renamed the Datsun, as translated from the Japanese word "son is" means "loss". The prototype was ready in the summer trends 1931. In a series of car went under the name Datson Type 10. Already in 1932, its sales reached 150 units. A year later there was a new law allowing the rights to manage without car with the engine up to 750 cc. Then the company has put in a larger model engine and named it Type 12. In 1933, the company expects another reorganization: Datsun vehicles manufactured by named Jidosha Seizo Co., Ltd., which created the Tobata Casting Co., Ltd. and Nihon Sangyo Co., Ltd.
A year later, the automaker took the name of Nissan Motor Co., Ltd. 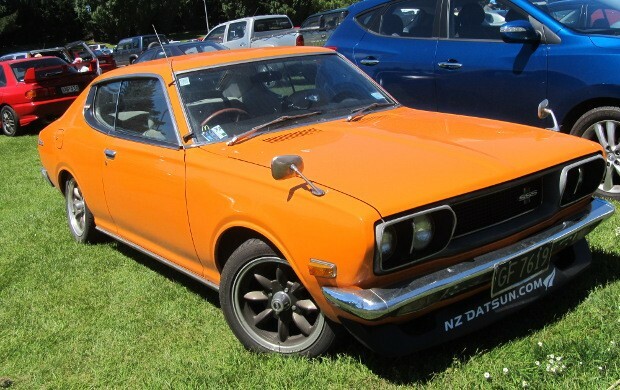 In the same year there Datsun Model 13, the first batch of which is exported. Since 1935, on the Datsun manufacture the conveyor, for example, Ford Motor. Brand produces vehicles, similar to then popular Austin 7, the production of Austin Motor Cars. In 1937, Japan stepped into a war with China. Because of this, the production of passenger cars was limited, and Datsun Iokogamae plant focuses on the production of trucks for the army, as well as engines for aircraft and torpedo boats. After the war, all the resources of the country are left to the restoration of railways, shipping and steel industry. At this time the trucks were particularly in demand. The revival of the production of passenger cars began in 1947. Produced models were basically copies of Somerset and Devon brands of cars. The company was experiencing not only a difficult period of postwar reconstruction, but also the constant strife between labor and management, which resulted in a 100-day strike. Having survived the crisis, the brand has developed a set of rules of corporate policy based on mutual trust between employees and managers. They act so far. To recover from the technological vacuum of the postwar years, Nissan enters into an agreement with Austin Motor Co., according to which begins production of cars of this brand. These were the Austin A40 and A50 Cambridge. Datsun not developed the original models up to 1955, when the occupying power plant back under the control of the Japanese. 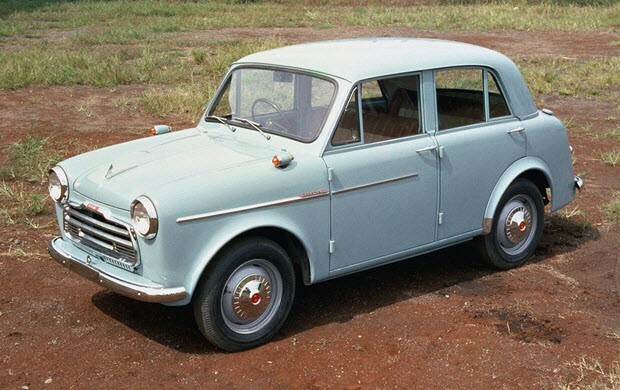 Then the company released the 110 sedan and created on its basis of the pickup 120, nicknamed «pickoupe». Datsun 110 used motor from Nissan D10. Its design was developed independently, although it was based on Austin cars produced before World War II. Inline four-cylinder engine capacity of 860 cc. I gave 25 hp at 4000 rpm. He made his debut at the Tokyo Motor Show, where he became a sensation. In 1957 he produced a model Datsun 210. Outwardly it looked like 110, but takes into account experience gained during the time of communication with Austin specialists. It was the first car built in a foreign factory in Taiwan. In 1958, the Datsun 210 was made in the Australian Rally, one of the most grueling races in the world, and became a champion in its class. A year later comes the roadster Datsun S211, designed Okhta Hiro, who was a fan of the British sports car. In 1958 Datsun appears in the US market, to organize the first sale in California. One year later, the company had dealers in all states and exported not only the model 113, and 310, also known as Bluebird. This car came with a 1.0-liter engine from the model 210. Initially it was a sedan, beginning in 1960 produced version of a wagon, which was equipped with a 1.2-liter engine, the three-step manual transmission and an independent two-lever front suspension. Its development was engaged in engineering Teichi Hara. Overall length of the model is 3910 mm and wheelbase - 2280 mm. In 1960 in Oppama, near Yokohama, built a new plant, which began production of cars in 1962. In 1961, the production department appears Nissan in Mexico, which in five years will be collected cars. Since 1962 Datsun exports its cars to Europe. In 1966 he presented Datsun 1000, and the brand is the winner in the East African Safari Rally. In the same year, the company merged with Prince Motors, so it is replenished range cars Skyline, and production capacity - the test track in Murayama. Appears B10 model, which according to the results of the contest in the name of the new small car became known as Sunny. This car was so popular that it became at the origins of the rapid growth of the segment of small cars. A year later, his debut model Bluebird 510. The line model includes two- and four-door sedan, five-door wagon and two-door coupe. The car came with a 1.6-liter engine and automatic transmission. Behind him came the legendary 240Z, went down in history as an affordable sports car for the masses. With this model, the brand won twice on the East African Rally. In August 1971, Japan launched a series of 610, which is also called the Bluebird-U. It is positioned as a more consumer-centric, due to the greater comfort than the 510 were available for two- and four-door hardtop and a five-door wagon. Suspension and transmission with a few changes have been borrowed from the 510. In Europe, the model sold under the names of 160V or 180V, depending on engine size. In the UK, the car's popularity meant further strengthening of Datsun's position as a leading Japanese importer. In 1981 it was decided to abandon the Datsun brand in favor of Nissan. The process began in the United States and lasted for five years. The Japanese automaker has used specialized Datsun by Nissan ad campaign. The name change cost the company $ 500 million. The reason for the rebranding was the desire of Nissan Motor management to optimize costs to promote their brand. In addition, the Japanese haunted increasing popularity Toyota or Honda in the US market, along with an almost complete obscurity Nissan. Interestingly, the beginning of the 90s, when the name of Datsun already completely abandoned, in some markets, it continued to be more recognizable than the Nissan. In 2001, Japan's domestic market Nissan released a pickup Datsun D22. However, the brand name is used only for this model. Its release lasted until October 2002. In 2012, Nissan Motor makes a decision about the revival of the Datsun brand, under which cars are now manufactured cost for countries with a growing market. This is primarily India, Indonesia, South Africa and Russia. 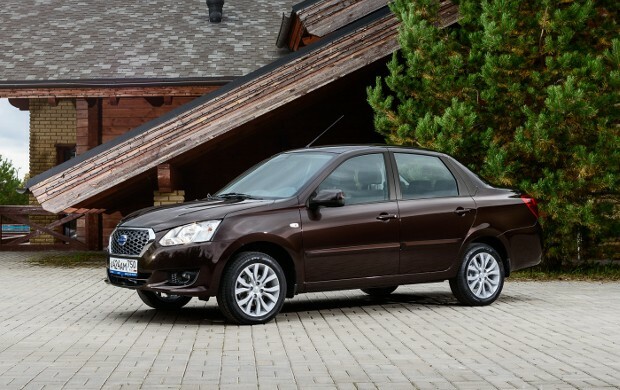 July 15, 2013 India hosted the presentation of the car Datsun on-DO - front-wheel drive sedan, developed together with the concern AvtoVAZ, based on LADA Granta. Now this car is going at the Togliatti plant. The model has a gasoline four-cylinder engine of 1.6 liter capacity of 82 or 87 liters. from. 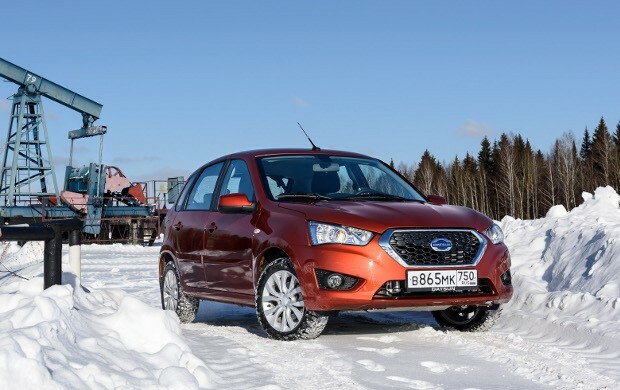 In February 2015 the Russian market started selling the second model Datsun - hatchback mi-DO, created specially for Russia on the basis of LADA Kalina. The machine is equipped with 1.6-liter engine, developing 82 or 87 liters. sec., which is paired with a five-speed manual or four-speed automatic transmission. All materials posted on this site for the purpose of acquaintance. If you are the copyright owner of the materials posted on this site - contact us.